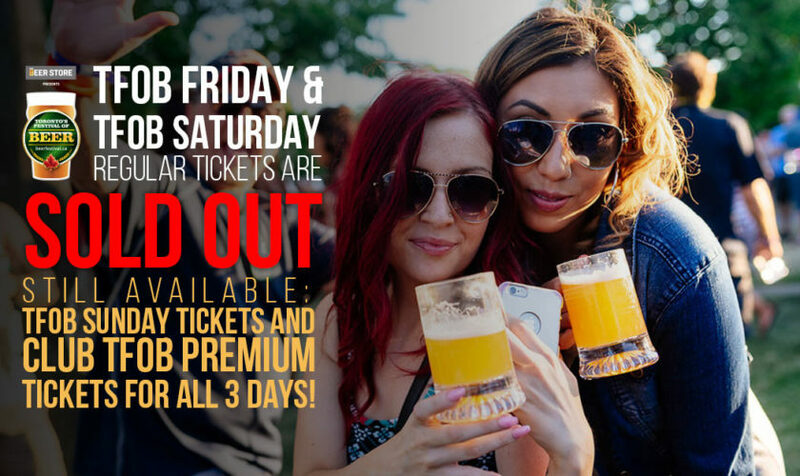 TFOB Friday & TFOB Saturday Regular Tickets SOLD OUT! TFOB Sunday: See Alan Doyle & The Beautiful Gypsies perform live along with Canadian County sensations David James, Erik Ethridge, and Dani Strong. VIP and Hoptimized tickets are going fast. Club TFOB: This is our most premium offering to date. It’s a super-deluxe executive experience complete with early entry, air-conditioned restrooms, full-sized servings, dedicated stage viewing area, and a full culinary experience provided by Chef Craig Harding and Afrim Pristine. LEARN MORE. Get CLUB TFOB FRIDAY Tickets Now! 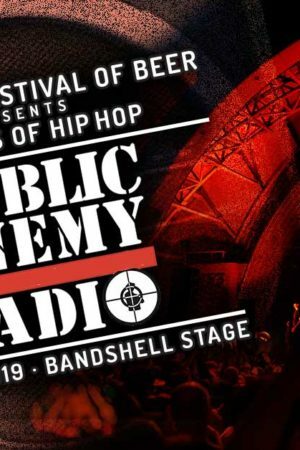 Get CLUB TFOB SATURDAY Tickets Now! Stay The Night: This is your chance to stay and play… a night at Hilton Toronto, a President’s Welcome Basket and a pair of Hoptimized tickets. LEARN MORE. Valentine’s Day is Feb 14. Whether you’re deeply in love with someone, still searching for someone, or don’t even care, we felt compelled to share our thoughts… Of course, if you don’t care, then maybe this blog entry is not for you. 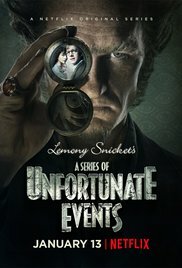 1) TICKETS: The Perfectly Paired Package is just that: perfectly paired. 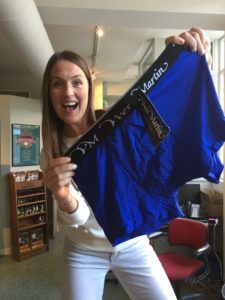 We paired TFOB Tickets with a pair of socks from GOTSTYLE and a pair of Yves Martin boxer briefs from Prostate Cancer Canada. You’ll also get a $50 GOTSTYLE gift card and GOTSTYLE MAN Magazine. 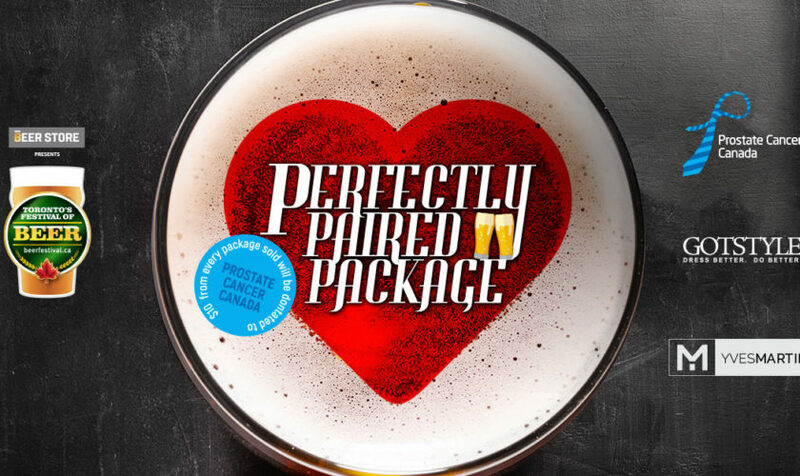 For every Perfectly Paired Package purchased (say that 5 times fast) we’ll donate $10 to Prostate Cancer Canada. 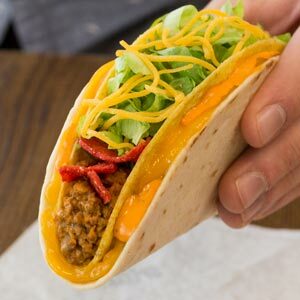 2) DINNER: The Nacho Crunch Double Layer taco from Taco Bell may be enticing you, but keep that urge bottled in… for now. Trip Advisor has THIS LIST of the best Italians restaurants in Toronto. Or maybe BBQ is your thing? HERE is a list of the best BBQ joints courtesy BLOGTO. And HERE is a list from Yelp on Toronto’s best kept secret restaurants/bars. 3) COUPLES MASSAGE: Speaks for itself… Just hit Google with that search. The one who spends most on AdWords around this time should get your business! We’ve heard that ELMWOOD is good, And Bahn Thai too! 4) RAGE ROOM: For $69 you and your loved one can smash a whole lotta stuff. It’s called the Date Night package from Battle Sports… and sounds perfect if you and your partner want to release some energy. This package comes with the luxury of smashing a printer – which you’ve always wanted to do after seeing Office Space. Learn MORE. 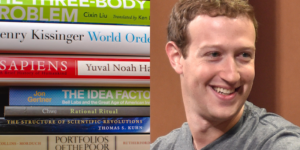 5) ALL THE BOOKS: How many times have you said “We should be reading more?” Mark Zuckerburg’s list of 23 books he things everyone should read is a good place to start. Want to really WOW your love, buy them all the books! Or better yet, get a library card and visit one of Toronto’s Public Library. HERE’s Zucks’ list. And HERE is the location/hours list of Toronto Public Libraries. Have a Happy Valentine’s Day. Cheers. Looking forward to seeing everyone on May 20-21 for Toronto’s Festival of Beer Spring Sessions and on July 28-30 for the Summer Edition of TFOB. We’ve been told that some guys are hard to buy for, so we conjured up the Perfectly Paired Package. It’s like getting a pair of GOTSTYLE socks and a pair of Yves Martin boxer briefs for free when you purchase a pair of TFOB Saturday tickets. LEARN MORE about this package HERE. 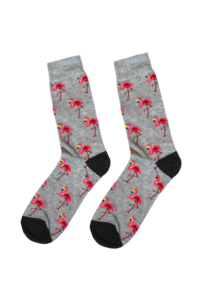 Please note, we will donate $10 from every package purchased to Prostate Cancer Canada. This is a win/win/win/win. 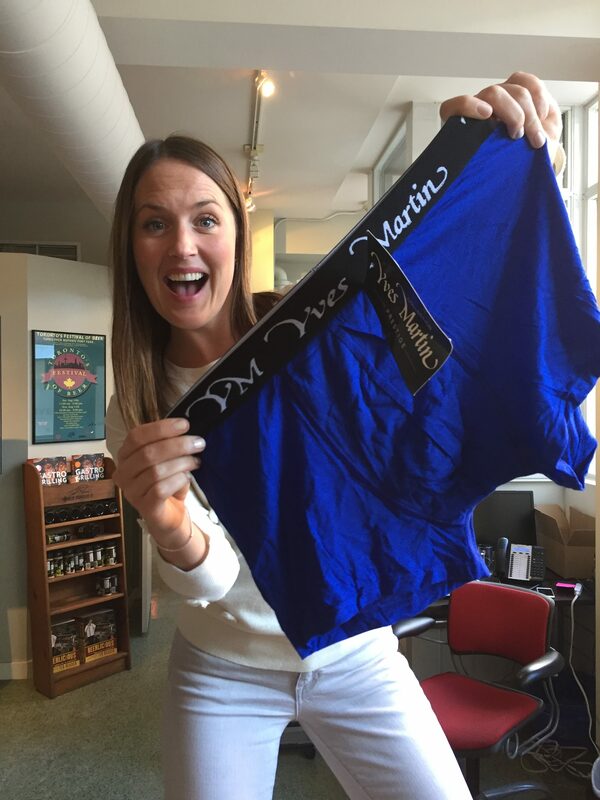 Thanks to the fine folks at GOTSTYLE and Prostate Cancer Canada for making this happen. Buy the Perfectly Paired Valentine’s Package Now! So Arty: Let’s f ace it. Collective Arts Brewing in Hamilton are crushing it. A solid line-up of brews like Rhyme & Reason, Ransack The Universe, Stranger Than Fiction and a killer idea to incorporate art into their look and feel. 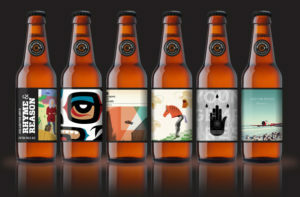 Canadian and International artists get their art featured on the label. It’s like a global art gallery in your hand, one beer at a time. We love everything about it. Read more in THIS CBC article. In Bruges: Beer literally flows through the streets of Bruges. This destination is on on our bucket list. 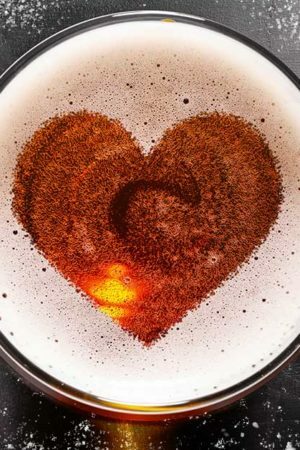 It sounds dreamy, but Belgian beer can be a minefield for the uninitiated, so it’s worth learning how to tell your Tripel from your Kwak before you order a pint of something 14% ABV. Check out this piece from The Independent on how to spend a beer-fueled two days In Bruges. Superb Owl Beer Pairings: Yes, the Superb Owl is coming up (Feb 6 at 6:30pm). It’s Football’s biggest game with Atlanta facing New England. We always like to look at the other battle; the battle of beer. Which region/city brews better beer? Boston vs Atlanta. Methinks it doesn’t seem like too difficult of a choice. The other big part of Superb Owl Sunday are the snacks. HERE’s a handy list of which beer pairs with which snack courtesy of VinePair. There you have it. 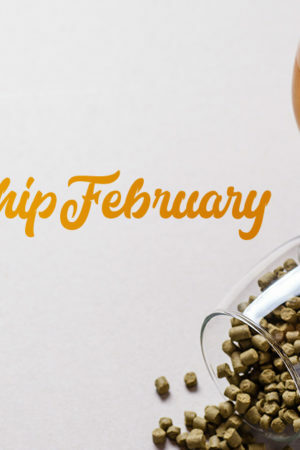 Our round up of the latest beer news. Cheers. 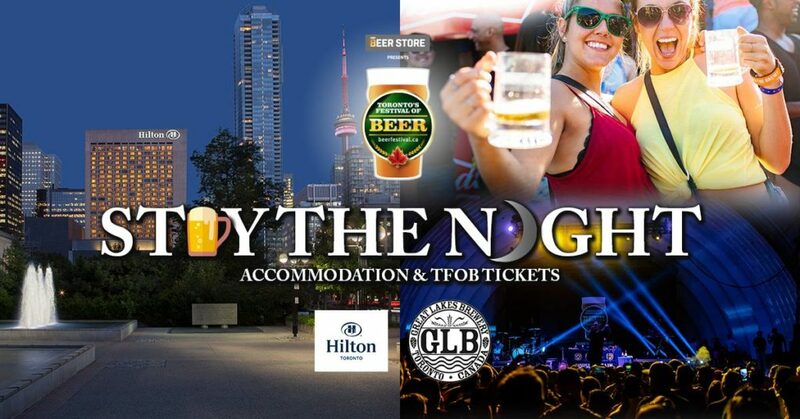 Looking forward to seeing everyone on May 20-21 for Toronto’s Festival of Beer Spring Sessions and on July 28-30 for the Summer Edition of TFOB. Love is in the air! 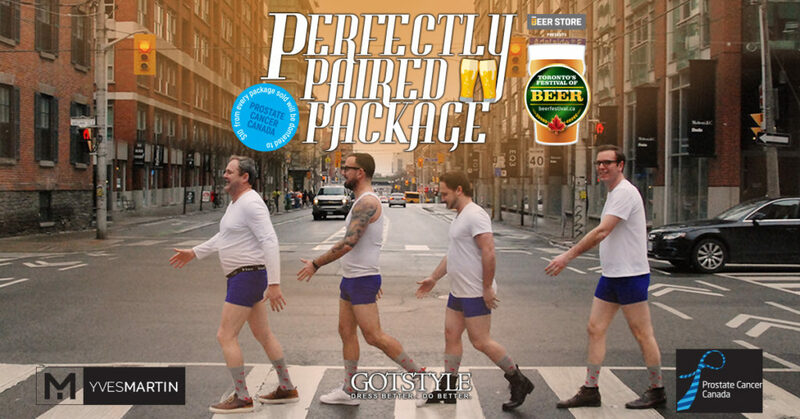 We, your pals at Toronto’s Festival of Beer, are proud to parter with the mens style leaders at GOTSTYLE and the fine folks at Prostate Cancer Canada to offer you… the Perfectly Paired Valentine’s Package. One pair of General Admission tickets to TFOB on Saturday, July 29. Which GOTSTYLE location works for you to pick up your package. 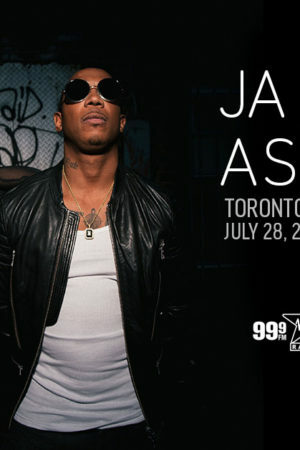 (either Distillery or Bathurst St. location) Just pick the one that is easiest for you. 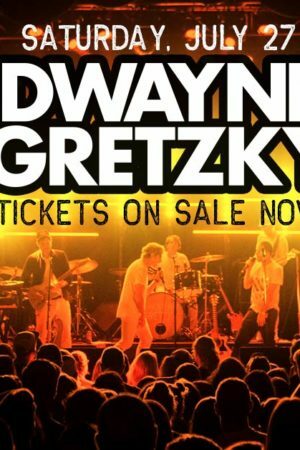 After purchase, the tickets get emailed to you via Ticketfly. Those tickets are your proof of purchase to take in to the GOTSTYLE location to get the rest of your sweet gear. Yes, you’ll need to print your tickets and show them to the staff at GOTSTYLE. Bring photo ID! Step 1: Print tickets. Step 2: Bring them in to the GOTSTYLE location you selected at purchase. Step 3: Show ticket, receive package. That’s it. Hope you enjoy this offer and have a great Valentine’s Day. 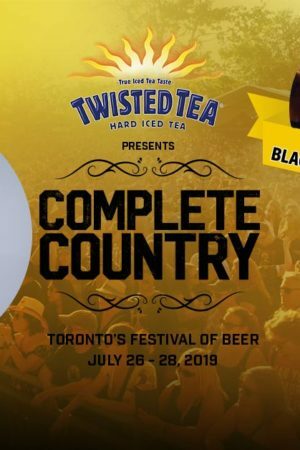 See you in July for Toronto’s Festival of Beer presented by the Beer Store!